The best companion I could have ever asked for. He’s sweet, and loves to cuddle. Pablo loves playing with the kids and has never met a person he didn’t like. He finished quickly - before he was 18 months old - and has done fairly well in limited specialing. Pablo loves to show & is planning on making a return to the ring just as soon as I get his son Clark’s Championship completed. 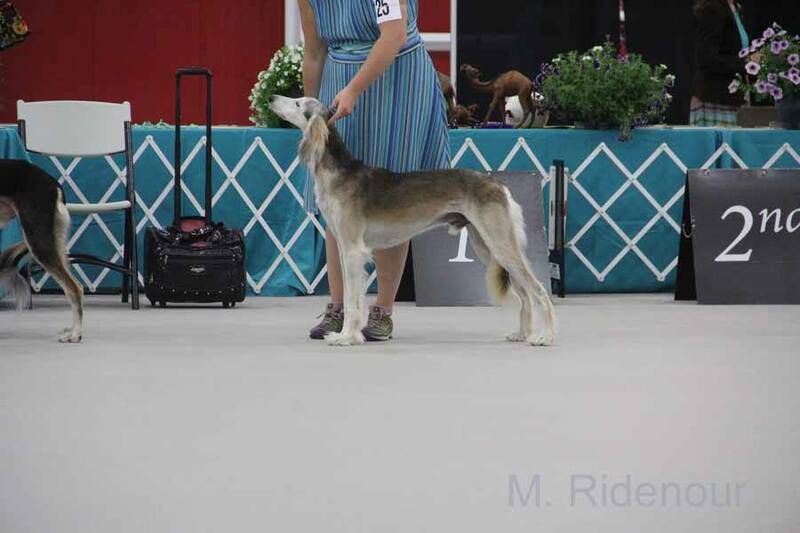 Pablo & some of his kids at the 2015 SCOA National Specialty in Grey Summit Missouri. Left to Right: Azim & Raka out of Amira, Clark, Sophie & Teeka out of Shiloh Rose, Stella, Gunner, Beau & Xander out of Shena, Ari, Zara, Pink, Pablo & Rush out of Ziva.